according to Article 13, D. Lgs. 196/2003 of the Italian law, the Fattoria Biologica Recchi will treat your personal data within full respect of the norms of privacy. The disclosure of such data is optional, but any incompleteness in filling out our form may render it impossible to give you the information you requested. In no case will your personal information ever be communicated or sold to a third party. 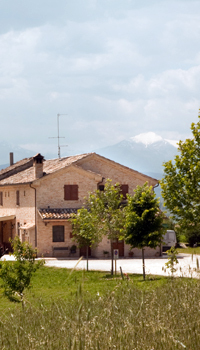 The Parco Galeano is a brunch of the Fattoria Biologica Recchi. Fattoria Biologica Recchi di Luigi Recchi.